This weekend I had a wonderful time at the Festival of rare plants, roses & kitchen gardens of Hex in Belgium. Every year, on the second weekend of June the gardens are open to the public. Nurseries specialised in old and botanical roses, as well as collectors and breeders of rare plants put their best products for sale. I was very heartilly welcomed by the people of the rose nursery De Bierkreek and I stayed there so long I almost could have joined them in selling the roses at their stand. After a short demonstration I also had the chance to cut my very first budwood. 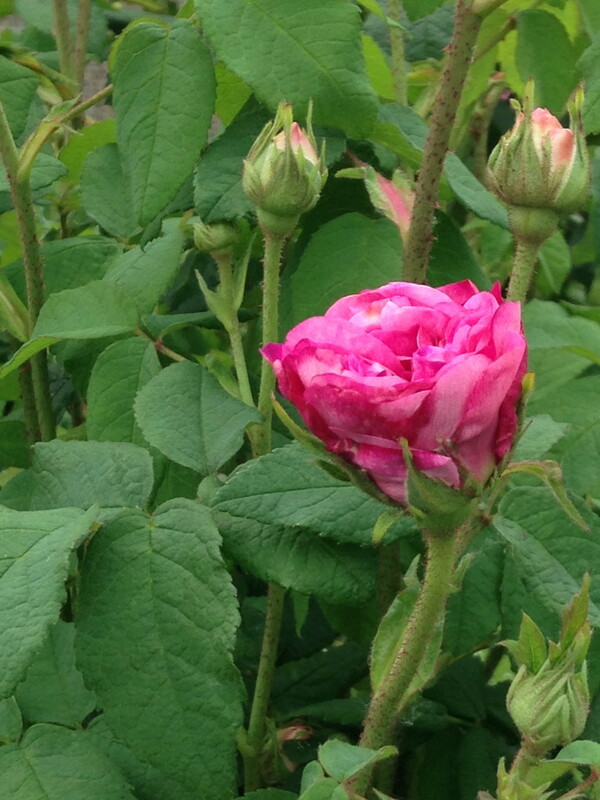 Who knows, maybe this year I will learn how to bud roses. A new summer job? The only downside this weekend was that there were no roses in bloom to see. Because of the cold spring, nature is running a month behind in the season. The old roses looked very promising with lots of buds and I wish I could have stayed a few days longer to see all the different flowers when they finally open. Hopefully I can see flowers in many more old roses next week, when I am going to see the world’s largest collection of old roses in the rosarium at Sangerhausen in Germany. There are more than 8000 different rose-cultivars and species. Wild roses, historical roses, roses of the 20th century and modern, recently created roses make up the largest rose-collection in the world. 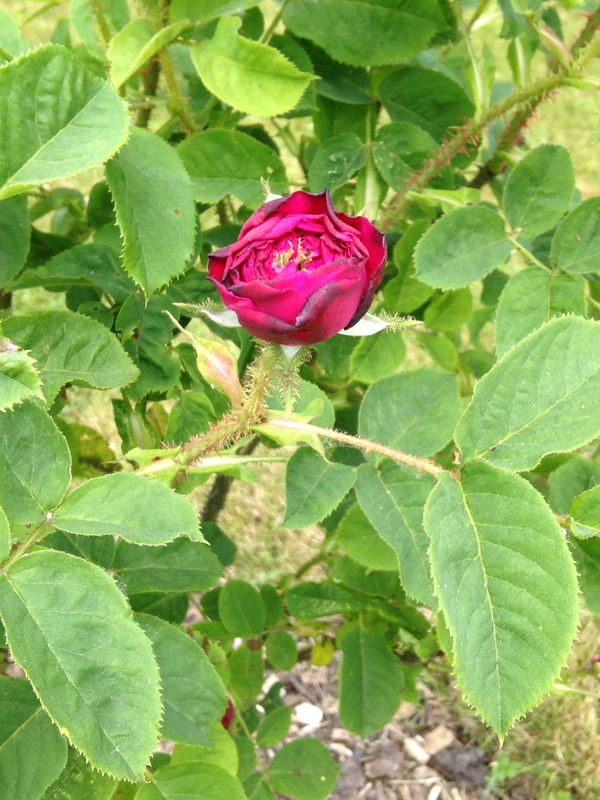 A must see rosarium for every rose-lover! I will most certainly have lots of pictures to show and stories to tell on this blog when I return! Dit bericht werd geplaatst in News en getagged met Hex op 10 juni 2013 door Monique.